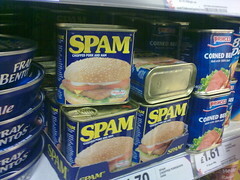 Spammers, ugh… sorry, internet marketers use various means to promote products and services over the Internet. Sending unsolicited emails, posting junky comments on blogs and forums and, in general, making life of other people difficult. Last week we looked closer at SEO (Search Engine Optimization) and how Wikidot was being (ab)used by marketers to promote online content.